DIY Jewelry Design – color is fun! But it’s the green background I wanted to mention. I know, a graphic background is totally not relevant! Except to show that vivid color, combined with other strong colors, can be really eye-catching. And sometimes you want to do that. 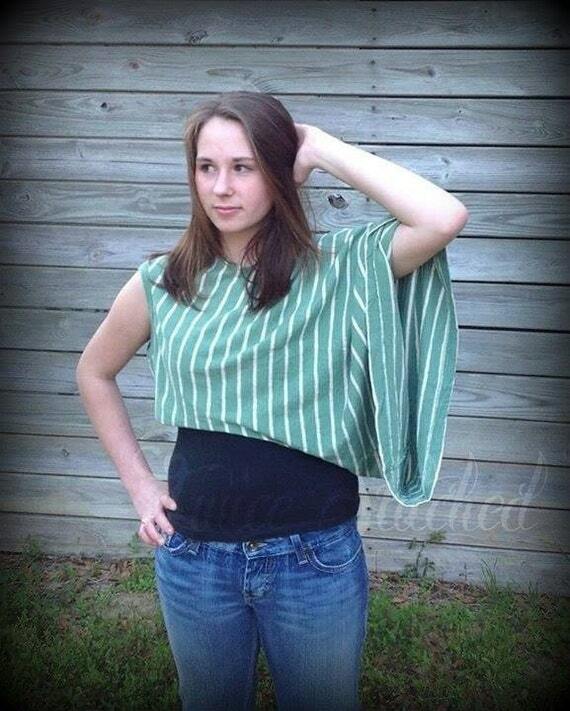 You’re wearing a quiet outfit, looks nice but no juice? Add a bright pair of earrings. Or maybe dye your hair green. Okay, go with the earrings – it’s easier to change them (and they probably cost less too). 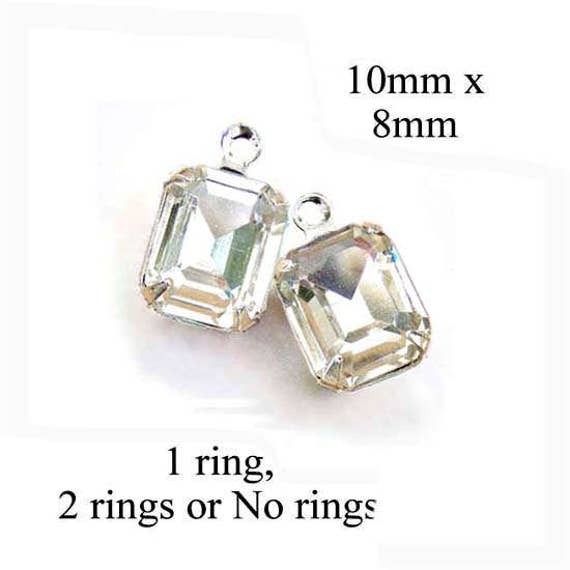 Diamonds – and crystal – are the birthstone for April. And here’s another idea – a necklace design that could incorporate birthstone colors. Of course this is just one possible style – but sometimes it’s fun to look at designs! 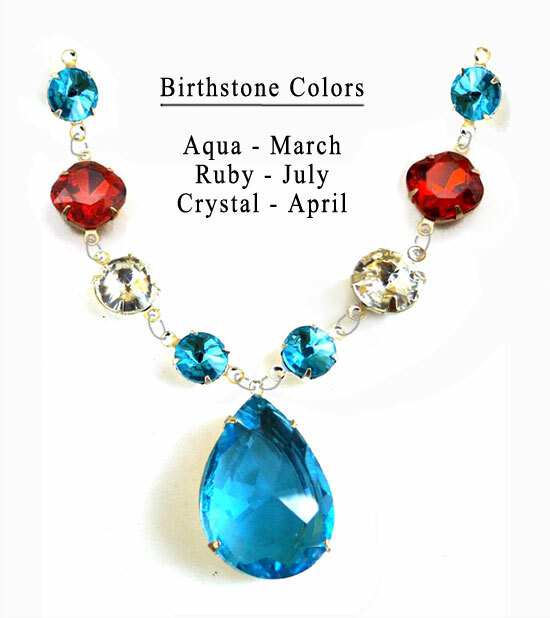 This particular design features a large teardrop-shaped focal pendant in aqua, the birthstone color for March; as well as round rivoli-faceted jewels in crystal (crystal or diamond is the birthstone for April), more aqua blue, and bright red – ruby or siam red is the birthstone color for July. Birthstone colors, that is. Yes, I’m mentioning this idea again – because it’s so easy to do, and if you’re DIYing or making gifts, it’s nice that there’s a simple, pretty way to make jewelry that’ll be really personal for her. 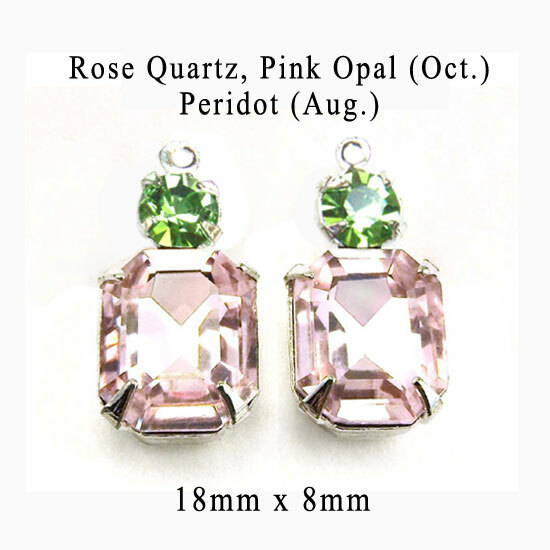 These delicate earring drops (or tiny pendant) are shown with pink glass gems – the October birthstone colors are pink, or pink opal, or rose quartz – and peridot green, the birthstone color for August. You can choose customized, personalized colors – that’s the whole point. Easy to do, inexpensive, and personal – this makes a great gift for Mom! And it’s simple to select the birthstone colors you need to use for your “gift for mom”. Here’s an example of earring drops (or a delicate pendant) made with three stones – sapphire blue for September birthdays, amethyst purple for February, and aqua blue for March. If those are your kids’ birth months, you’re good to go! 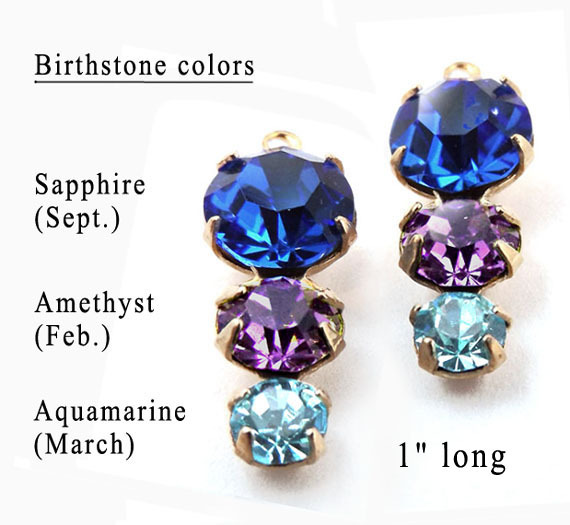 As always, if you don’t see the exact “triple” settings, or rhinestones in the birthstone colors you need, just ask. If I haven’t got them already I’ll get them, or help you find them. It’ll be fun and easy to make your mom a customized birthstone gift! I’ve been looking at glass jewel combinations lately – in birthstone colors, that is. I had a lovely girl ask me to send her the stones for a bracelet with the birthstone colors of her three kids – and that got me thinking about stone colors, and personalized jewelry in general, and of course Mother’s Day. So I’m going to take a few pics here and there of combinations of glass jewels that look great – and are also representative of colors that could be picked because of your kids birthdays! 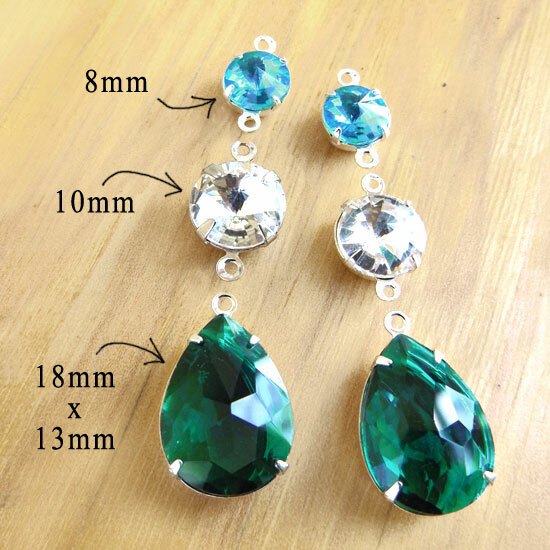 Now these particular jewels are emerald green – the birthstone for May; white or crystal or diamond, which is the birthstone (and color) for April; and aqua or aquamarine blue, which is the birthstone color for March. They’re pretty together, in whatever combination you choose – but if you have kids born on May 12, April 18, and March 7, these stones would be even more personal to you. P.S. Of course you can always search my shop for other shapes in these colors – go to that spot on the upper right where it says “Search items” – and if you can’t find just the shape you need – ask! 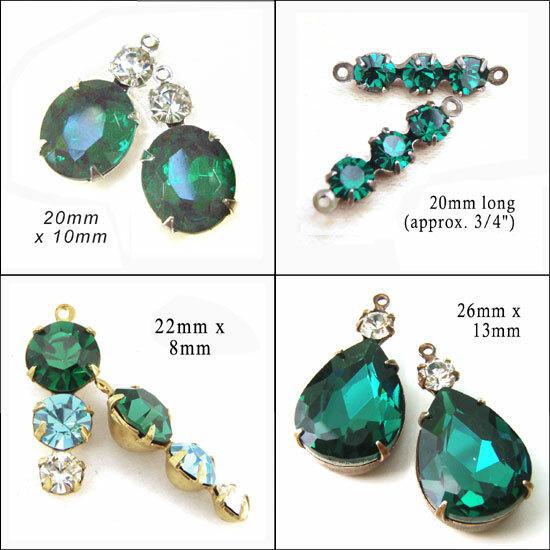 Emerald green glass beads – great style! A friend of mine was talking about finding some great emerald gemstone beads recently – so I just had to show her why I loved my glass beads. Okay, I love the gemstones too, don’t get me wrong. But for the money? Glass. Totally wins. 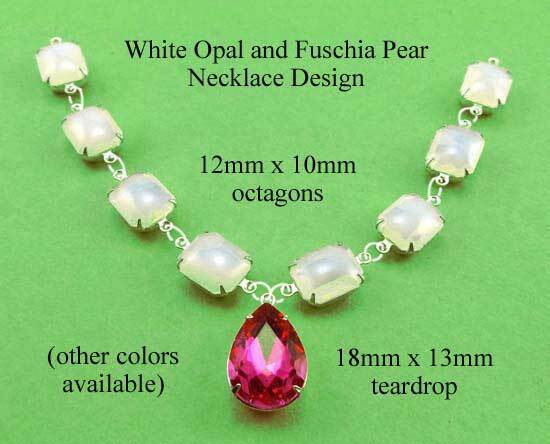 And I’ve got some terrific “multi stone” glass beads – that have two (or more) rhinestones. The extra rhinestone adds sparkle, and even more, it means you can customize to get exactly the color combo you want. 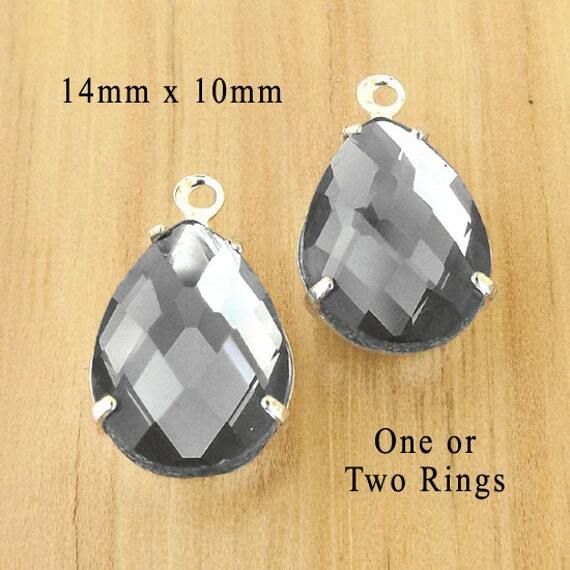 Change that tiny crystal stone for pink, or amethyst, or aqua, or, hey, emerald! If I get a chance I’m going to take some more pics, using different colors for the small stones – just to show how yummy some of these combos can be. Emerald it great for St. Patrick’s Day, of course, which just happens to be coming up pronto – and it’s the “official” birthstone color for May. Easy, affordable, pretty. This is the way DIY jewelry is supposed to be! PS I show these beads in silver plated brass settings, which is traditional and attractive. But sometime you might want to try using the gray beads with copper AND brass. Mix your metals – boho chic!